Spain 2016. Director Pedro Almodóvar. A woman faces the painful mystery of long alienation from her daughter. 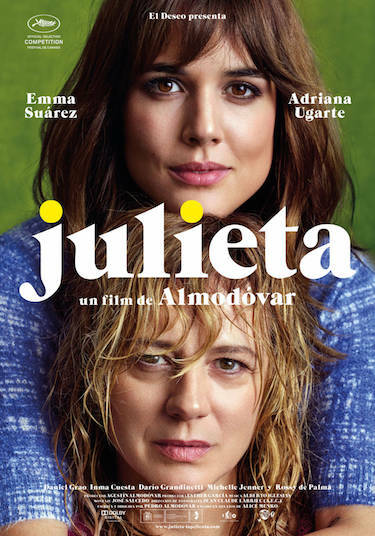 Julieta’s seemingly settled life is derailed by a chance encounter with a friend of her daughter who tells her that her daughter now has three children. A sumptuous melodrama on the nature of guilt, the mystery of memory and the unendurable power of love, based on three Alice Munro stories.